Combine cake mix, Bisquick, eggs, buttermilk, vanilla extract and melted butter and stir until smooth. For each waffle, pour batter into the center of the hot waffle maker. (Check manufacturer’s directions for recommended amount of batter.) Close lid of waffle maker and bake for 3 to 5 minutes. 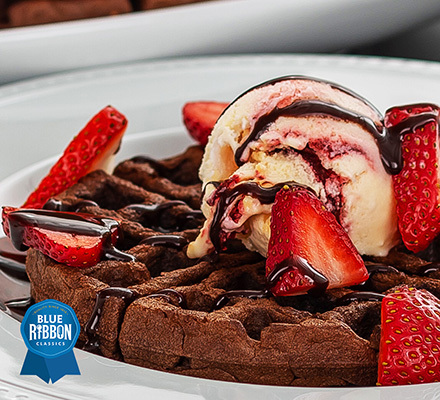 Serve waffles warm topped with Blue Ribbon Classics® Strawberry Marble Ice Cream, fresh strawberries and fudge. 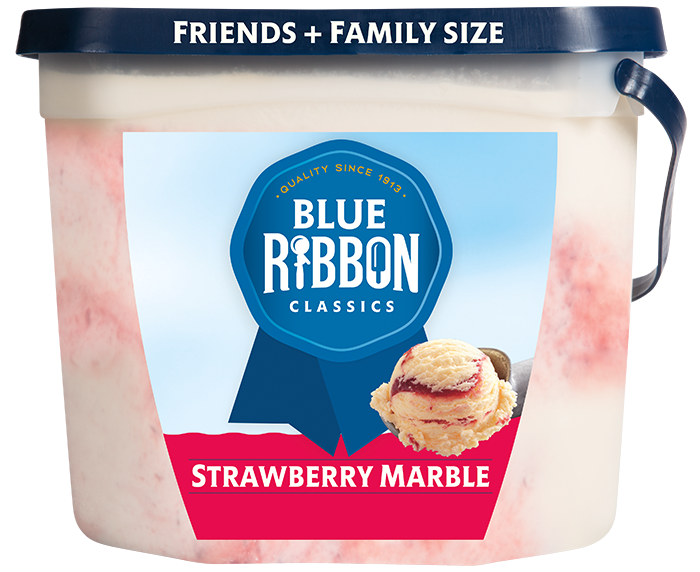 Artificially flavored reduced fat vanilla ice cream with a thick strawberry ribbon swirl. Perfect for parties!